Charlee and her siblings were found with 15 wolfdogs being bred on a fur farm in Illinois. When the State of Illinois closed the fur farm down for animal cruelty, Charlee and her pack were slotted for euthanization. Rescues and zoos from across the nation came together to place these 15 feral wolfdogs, but Charlee and her siblings, Bella and Annie, were left with no home. 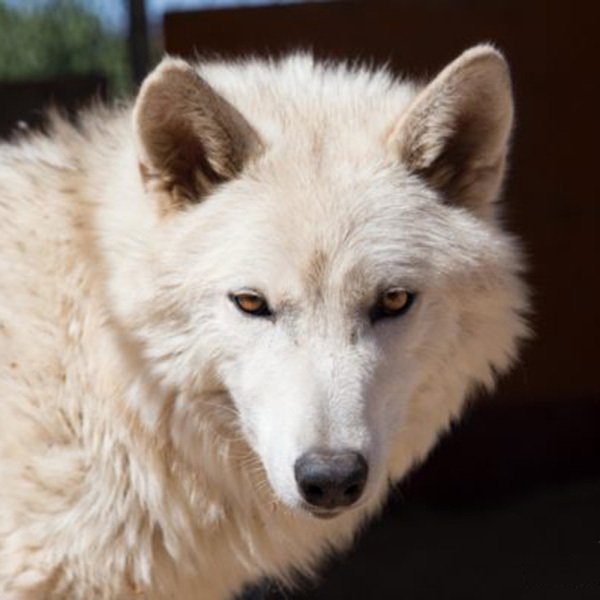 With no socialization, Wolf Connection has undertaken a long process of physical, mental and emotional rehabilitation for Charlee and her sisters. Charlee has proven to be the most thoughtful and patient of the 3. Charlee is learning the ways of the wolf by watching Maya, the Wolf Connection pack’s current alpha female.